Singapore Changi Airport has once again been named the World's Best Airport at the 2014 Skytrax World Airport Awards yesterday, at the Passenger Terminal Expo in Barcelona, Spain. It is the fifth time Changi Airport has achieved this accolade and the very first time in Changi Airport’s history to win it twice in a row. Changi Airport also received the Best Airport for Leisure Amenities award. The following is the media release issued by Skytrax at the Passenger Terminal Expo event. 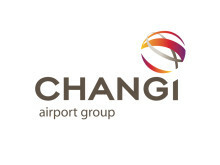 Changi Airport in Singapore has been voted the World's Best Airport by air travellers for the second year in a row at the 2014 World Airport Awards, held at Passenger Terminal EXPO in Barcelona, Spain. "Winning this prestigious award for the second year in a row, Changi Airport Singapore is showing itself to be much more than an airport," said Edward Plaisted, Chief Executive Officer of Skytrax. "Changi Airport offers a travel experience in itself and continues to develop its quality standards to be named the world's favourite airport again. Changi Airport is a well-known leader and innovator for the airport industry and genuinely delights and surprises travellers who are lucky enough to enjoy the airport facilities. Changi Airport demonstrates how to make the airport experience an enjoyable part of the journey that is so important in today's fast-moving world." Changi Airport enjoyed double success at the Awards, also receiving the award as Best Airport for Leisure Amenities. The vast array of leisure and entertainment facilities is a unique, stand-out feature for Changi Airport, and underline the dedication of this airport to ensure maximum levels of passenger satisfaction. 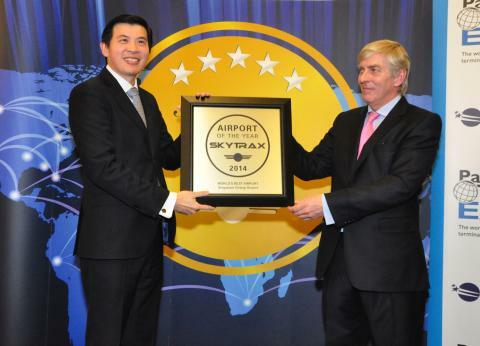 Mr Lee Seow Hiang, Chief Executive Officer of Changi Airport Group said, "We are honoured to be named Skytrax World Best Airport for the second consecutive year. We appreciate the support given to us by travellers from around the world. This recognition is great motivation for us and spurs us to continue to aim higher. At Changi Airport, we remain steadfast in anticipating the needs of our customers, which is the cornerstone of the Changi Experience. We share this honour with our airport community, for their unyielding commitment to service excellence and with our passengers, for their vote of confidence." The World Airport Awards are the most prestigious accolades for the airport industry, voted by customers in the largest, annual global airport customer satisfaction survey. The survey and awards process is totally independent and guaranteed free of any airport influence or interference in final results. The World Airport Awards are based on 12.85 million customer nominations across 110 nationalities of air travellers, and included 410 airports worldwide. The survey evaluates customer satisfaction across 39 key performance indicators for airport service and product - from check-in, arrivals, transfers, shopping, security and immigration, through to departure at the gate.